19th December, 17. District employment administration Agar Malwa had organized a Job Fair for the students benefited under DAY-NULM project. Almost 180+ students from ITRCTechnologies Pvt Ltd. participated to try their luck into private sectors, out of 700 other aspirants.Total 70 Students were selected and went back home with happy faces. Overall 20+ companies were present to provide career opportunities for the students available in the event. 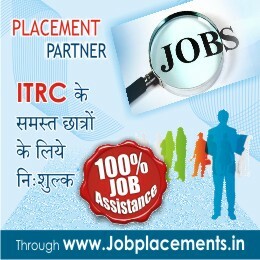 Companies like; Teleperformance, Hinduja Global Solutions (HGS), PIAGGIO, Inspire BPO, etc… were available for recruitment with different profiles for employment& training opportunities by offering packages from Rs 8000 - Rs 14,000 for the eligible students. In the event, (100) students in BPO sector, (25) students in Furnishing designs, (50) students in Automotive sectors and the rest into several sectors, appeared to give their best performance at the first level and wished to get the best possible platform for themselves. ITRC Technologies Pvt Ltd. has been providing training at Agar to 400 students into different sectors where 160 students in Automobile, 40 in Furniture & Fittings &200 students into ICT BPO Non-Voice process are reaping knowledge for a better career growth.